“Cold Chain” refers to the undisrupted series of logistical activities (packaging, shipping, storage, distribution, handling) for products that must be maintained within a given temperature range. And as those of us in the biopharmaceutical industry know well, maintaining cold chain is critical to the integrity of biologically derived therapeutic products. The Centers for Disease Control and Prevention (CDC) has estimated that $300 million worth of vaccines alone are destroyed each year due to improper storage and distribution; the numbers for other bio-therapeutics are unknown. The scary aspect of that figure is that this includes only the product that was known or suspected to be compromised. Think of the health care implications for administering adulterated medications to patients! The consequences can go well beyond economic losses. Failure at some point in the cold chain can potentially have dire consequences. 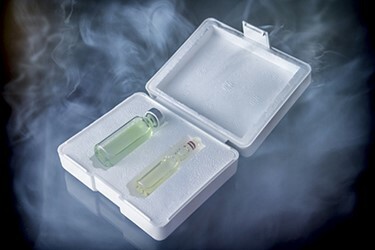 Most of us in the biopharmaceutical industry would agree that patient safety and regulatory compliance are the key drivers within cold chain logistical systems. Organizations recognize the growing need for control of the entire cold chain. The ever changing global scenario requires highly efficient processes as a backbone to accommodate the growing needs of organizations. If you have asked and answered the following five questions, and are using a rigorously designed and qualified shipping system, then the data will provide an objective affirmation that you performed due diligence and significantly advanced the commercial success of your product.